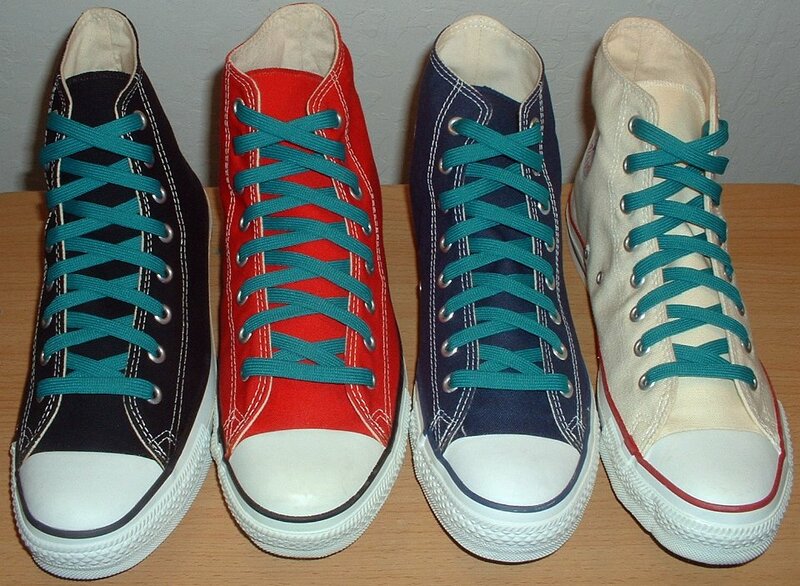 Photo gallery of classic brown, burgundy, cardinal red, lilac, pink, tan, teal and yellow shoelaces on various models of chucks. (Cardinal is only available in 63 and 72 inch lengths. Lilac is only available in a 63 inch length). 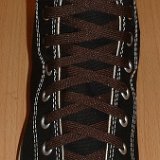 1 Classic Brown Shoelaces Black hightop with brown laces. 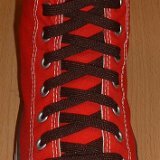 2 Classic Brown Shoelaces Red high top with brown laces. 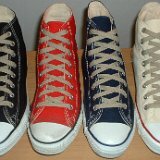 3 Classic Brown Shoelaces Navy blue high top with brown laces. 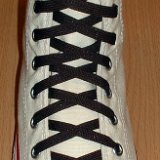 4 Classic Brown Shoelaces Natural white high top with brown laces. 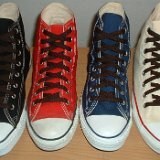 5 Classic Brown Shoelaces Core color high top chucks with brown laces. 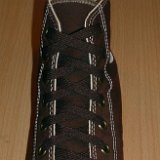 6 Classic Brown Shoelaces Chocolate brown high top with brown laces. 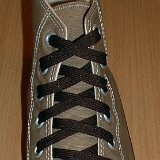 7 Classic Brown Shoelaces Taupe high top with brown laces. 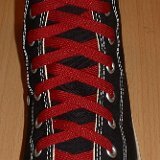 8 Classic Burgundy Shoelaces Black high top with burgundy laces. 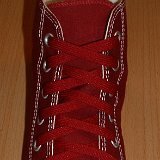 9 Classic Burgundy Shoelaces Red high top with burgundy laces. 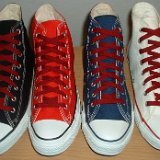 10 Classic Burgundy Shoelaces Navy blue high top with burgundy laces. 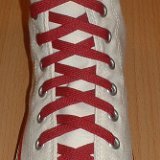 11 Classic Burgundy Shoelaces Optical white high top with burgundy laces. 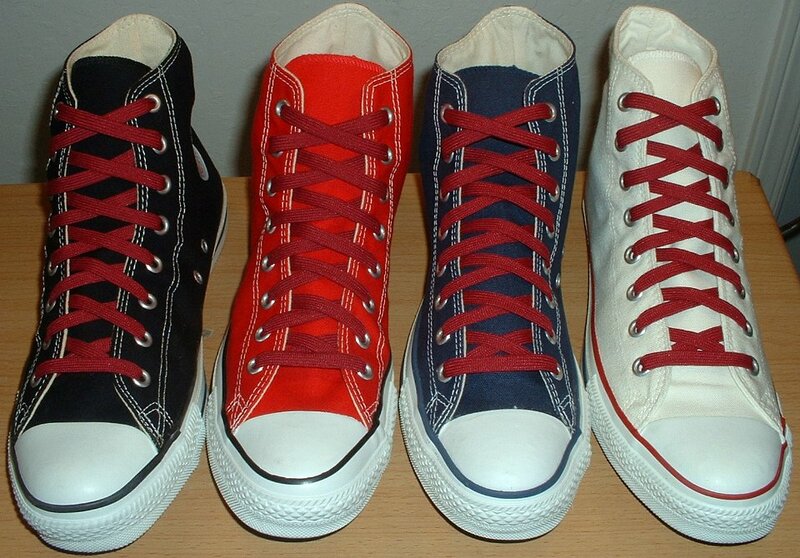 12 Classic Burgundy Shoelaces Core color high tops with burgundy laces. 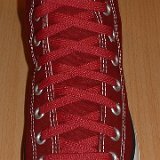 13 Classic Burgundy Shoelaces Maroon high top with burgundy laces. 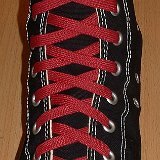 14 Classic Cardinal Shoelaces Black high top with cardinal red laces. 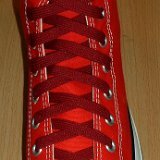 15 Classic Cardinal Shoelaces Red high top with cardinal red laces. 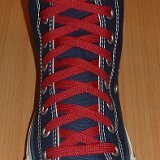 16 Classic Cardinal Shoelaces Navy blue high top with cardinal red laces. 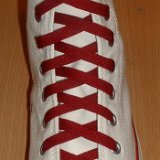 17 Classic Cardinal Shoelaces Optical white high top with cardinal red laces. 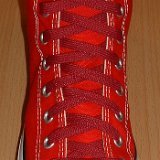 18 Classic Cardinal Shoelaces Core color high tops with cardinal red laces. 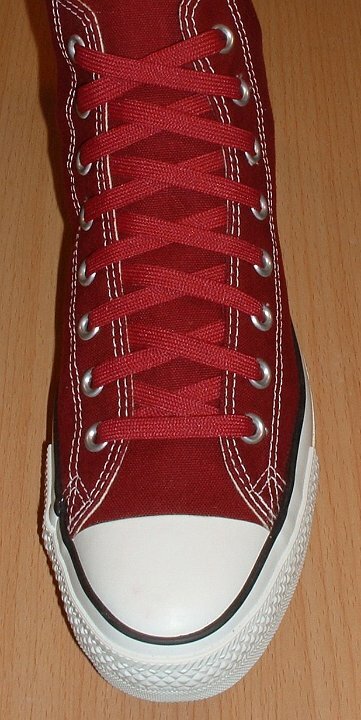 19 Classic Cardinal Shoelaces Maroon high top with cardinal red laces. 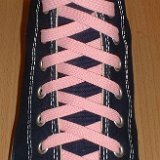 20 Classic Lilac Shoelaces Black high top with lilac laces. 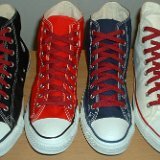 21 Classic Lilac Shoelaces Red high top with lilac laces. 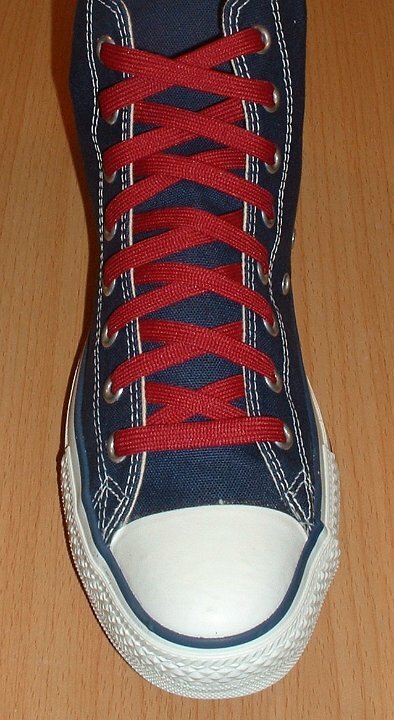 22 Classic Lilac Shoelaces Navy blue high top with lilac laces. 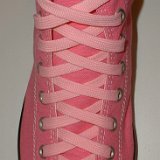 23 Classic Lilac Shoelaces Natural white high top with lilac laces. 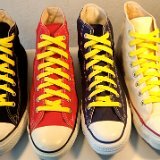 24 Classic Lilac Shoelaces Core color high tops with lilac laces. 25 Classic Lilac Shoelaces Rage purple high top with lilac laces. 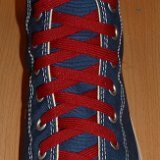 26 Classic Lilac Shoelaces Carolina blue high top with lilac laces. 27 Classic Lilac Shoelaces White graffiti high top with lilac laces. 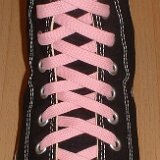 28 Classic Pink Shoelaces Black high top with pink laces. 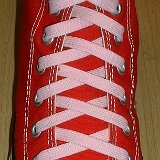 29 Classic Pink Shoelaces Red high top with pink laces. 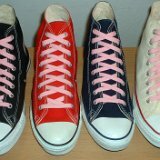 30 Classic Pink Shoelaces Navy blue high top with pink laces. 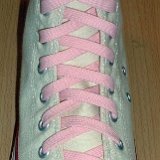 31 Classic Pink Shoelaces Natural white high top with pink laces. 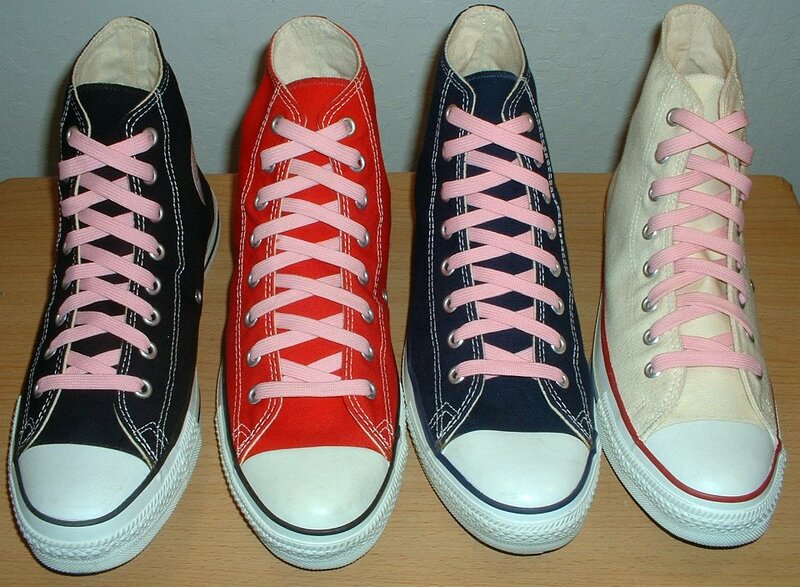 32 Classic Pink Shoelaces Core color chucks with pink laces. 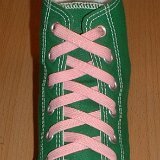 33 Classic Pink Shoelaces Celtic green high top with pink laces. 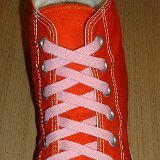 34 Classic Pink Shoelaces Orange high top with pink laces. 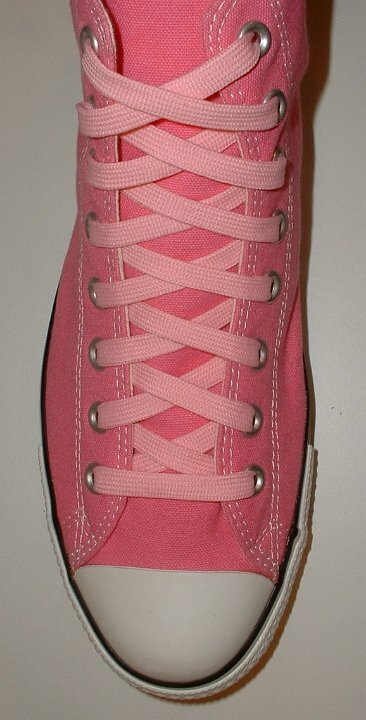 35 Classic Pink Shoelaces Pink high top with pink laces. 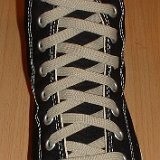 36 Classic Tan Shoelaces Black high top with tan laces. 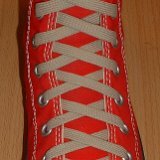 37 Classic Tan Shoelaces Red high top with tan laces. 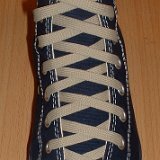 38 Classic Tan Shoelaces Navy blue high top with tan laces. 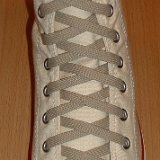 39 Classic Tan Shoelaces Natural white high top with tan laces. 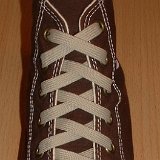 40 Classic Tan Shoelaces Core color high tops with tan laces. 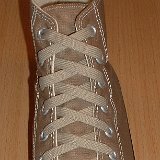 41 Classic Tan Shoelaces Taupe high top with tan laces. 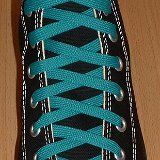 43 Classic Teal Shoelaces Black high top with teal laces. 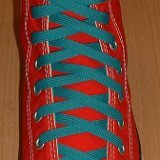 44 Classic Teal Shoelaces Red high top with teal laces. 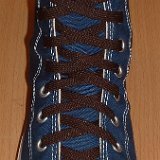 45 Classic Teal Shoelaces Navy blue high top with teal laces. 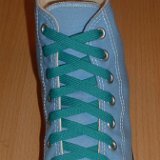 46 Classic Teal Shoelaces Natural white high top with teal laces. 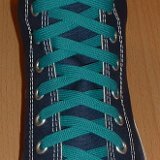 47 Classic Teal Shoelaces Core high tops with teal laces. 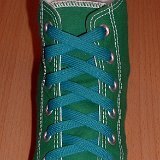 48 Classic Teal Shoelaces Celtic green high top with teal laces. 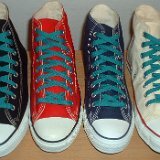 49 Classic Teal Shoelaces Carolina blue high top with teal laces. 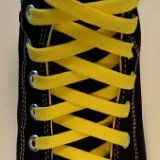 50 Classic Yellow Shoelaces Black high top with classic yellow laces. 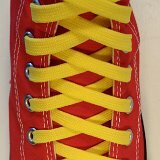 51 Classic Yellow Shoelaces Red high top with classic yellow laces. 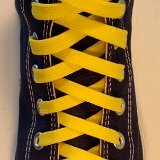 52 Classic Yellow Shoelaces Navy Blue high top with classic yellow laces. 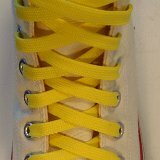 53 Classic Yellow Shoelaces Natural white high top with classic yellow laces. 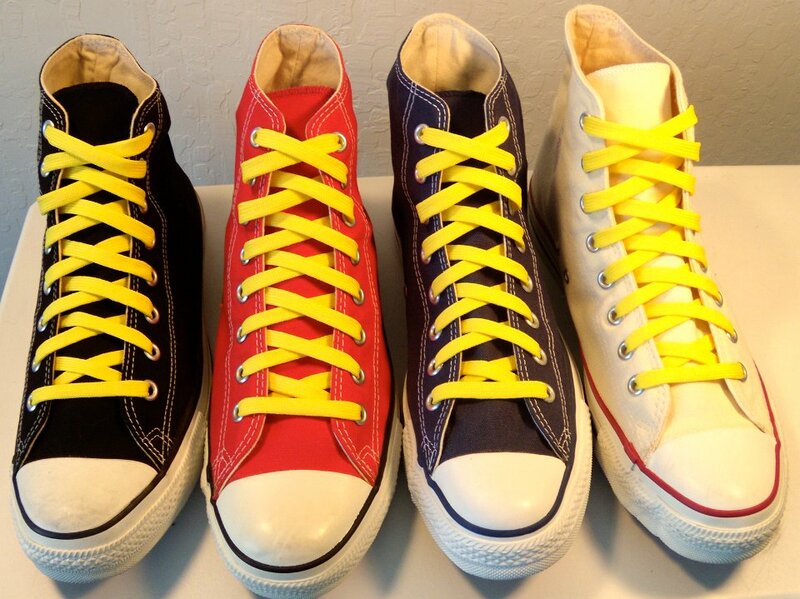 54 Classic Yellow Shoelaces Core high tops with classic yellow laces. 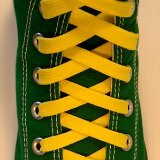 55 Classic Yellow Shoelaces Green high top with classic yellow laces. 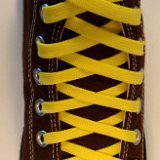 56 Classic Yellow Shoelaces Chocolate brown high top with classic yellow laces. 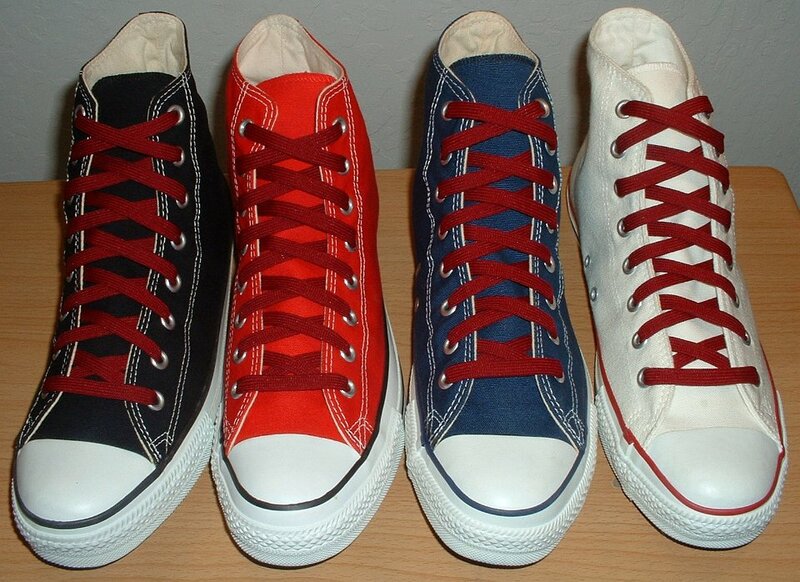 Classic athletic shoelaces for chucks are 3/8 inches wide and tubular in design. 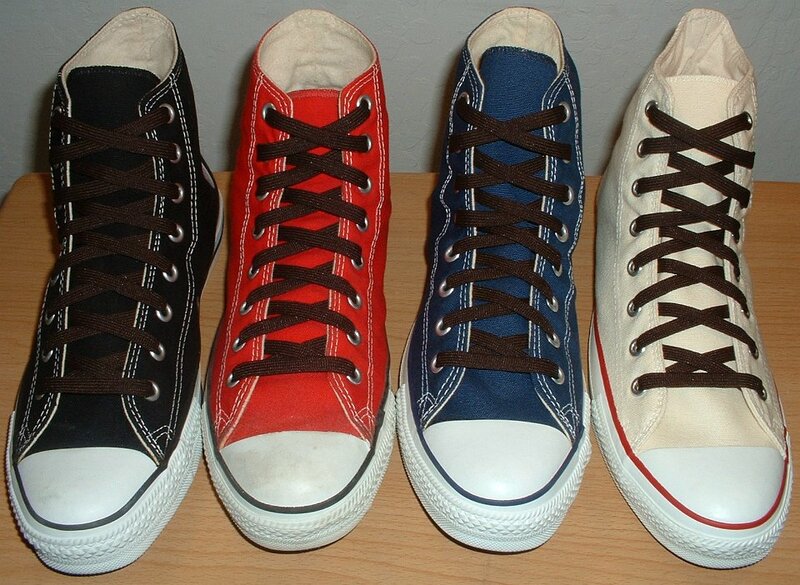 This photo gallery shows classic brown, burgundy, cardinal red, lilac, pink, tan, teal and yellow shoelaces on various models of chucks. 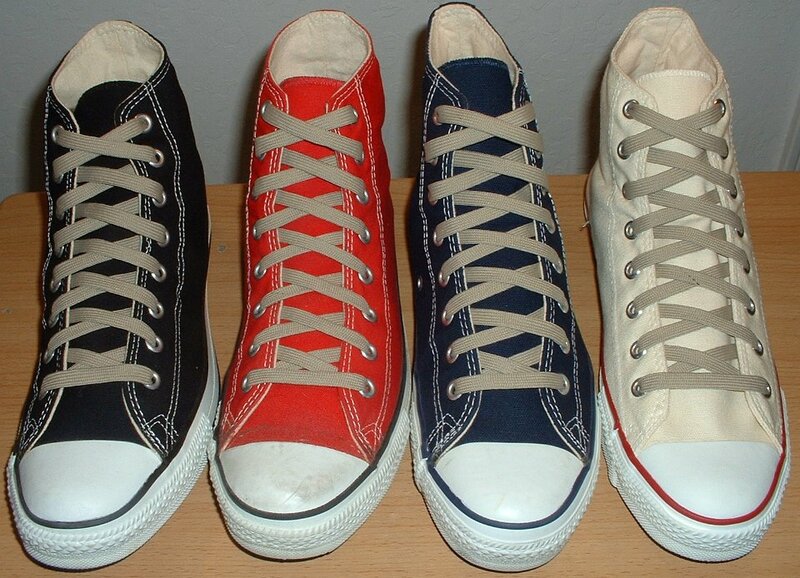 (Cardinal and lilac are discontinued colors. Cardinal is only available in 63 and 72 inch lengths. Lilac is only available in a 63 inch length).